Table saws deliver useful functions which could be impossible without it. In fact, they are probably the most widely used tool in a woodworking shop. However, you may not believe it; hundreds of people lose their lives or encounter injuries due to these important tools. But, most of them encounter these accidents due to lack of experience in the safety measures regarding the use of these tools.More deliberating injuries result from the use of table saws more than any other woodwork equipment. It is time this thing stops, no more injuries from a table saw! But how do you actually declare this and fulfill it? We have researched from a variety of sources and here are the best table saw safety tips every woodworker should know before and when using a table saw. A table saw is a power tool. And, just like when work with other power tools, wearing table saw safety equipment is mandatory and not optional. A woodworker operating a table saw should wear eye protection, hearing protection, and the right clothing. On the same note, you should avoid loose-fitting clothes, necklaces, jeweler because they are all hazards when working with a table saw. However, it is not ideal for you to wear safety table saw gloves when working with a table saw. This is to avoid losing the tactile sense that is very useful in ensuring a strong and safe grip. Not unless you’re using a specialized type of gloves, it is totally inappropriate wearing gloves while operating a table saw. This may sound absurd but is really helpful in preventing accidents. Saw dust, cutoffs are all hazards when working with a table saw. Imagine the situation whereby these pilings come in contact with the rotating blade. Well, it would automatically become a projectile that can end up hurting you. But, you can mitigate this by keeping the workshop clean always. Ensuring that all the safety features of a table saw are working is very important in keeping yourself safe from any hazard. You should, therefore, check the blade guard and ensure that is safely in place. Also, check the anti-kickback feature and riving knife to ensure they are in the right condition. All these safety features should be checked and rechecked before starting the machine. Cutting large pieces of stock such as plywood requires that you position outfeed and stands correctly. This ensures that the stock is sufficiently supported. This way, you will cut them without any struggle and avoid possible accidents. Apart from safety, they will ensure you finish the activity faster and move on to the next without any possible delays. This is one of the commonest problems many people encounter when dealing with a table saw. Not only when changing the blade, a woodworker should always ensure that the machine is switched off when making other internal adjustments. This will eliminate all the chances of the table saw being turned on inadvertently. Before the start button is switched on, ensure that the saw wheel is spinning freely. Ensuring that it is not engaged in stock will increase the durability of a motor and other components. So, you should make sure that it reaches maximum speed before you load the cut. You should maintain a good stance while working with a table saw. You should make sure that your legs are a bit wide apart to ensure that you are working on stable and excellent body balance. This will eliminate the chances of you being accidentally pulled onto the cutting blade. Besides, in case of a kickback, the stock should slide past your midsection and won’t heat you. That’s why it is also important to make sure you don’t stand directly in front of the blade. One of the most dangerous mistakes people make is by making some internal adjustments while the blade is still moving. You should, therefore, ensure that the blade completely comes to a halt before making any adjustments. No matter how much you might feel exhausted, you should never think of engaging in hands free cut. The dangerous thing here is that you could cut wrongly or damage some parts of the machine. Instead, you should use guides or fences. Miter gauges should never be used together with fence since a piece of stock can accidentally bid on the fence and cause some serious problems. 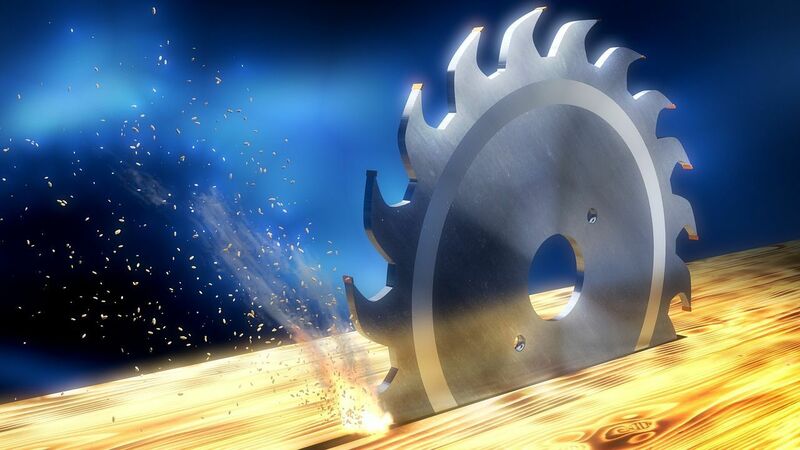 It can be very dangerous if the saw encounters a foreign object. These objects can be screws, nails, staple, loose knot and other metallic or hard objects. If any of these encounters the spinning saw, it can become a lethal projectile that can end your life instantly. You should use some specialized metal detectors to quickly check any foreign metallic object hidden in the stock. Most accidents happen when hands are cut when the operator tries to force a very short stock through the spinning saw. Using a pus stock keeps your hands or fingers away from the sharp teeth of the saw. However, you should ensure you use properly designed push sticks to enhance safety and functionality. They say that is better to learn from other peoples mistakes. And, it is stupid to learn from your mistakes and you had the chance to do things right. Now, you have full information about the safety tips of operating a table saw. It is good to follow the top tricks and tips we have discussed. Besides, a table saw is a functional device and equally dangerous if used wrongly.